After last nights dinner I was left with a few helpings of Mussels, so now its time for their makeover! I made some rice and cooked it with the leftover stock from the mussels to give it that kind of paella flavor and some achiote to give it a nice yellow color.. 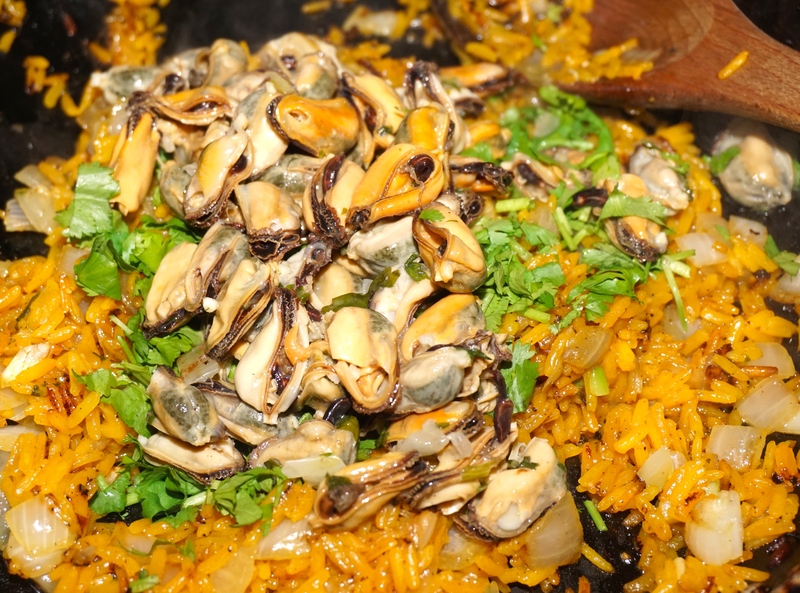 While the rice was cooking I took each mussel off its shell and set them aside. 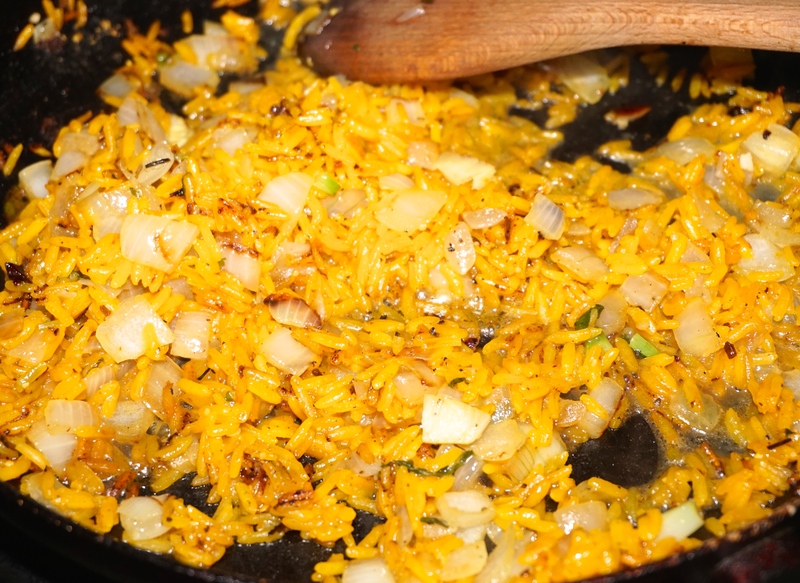 Then I sautéed some onions, garlic and once they were nice and golden I folded in the rice. 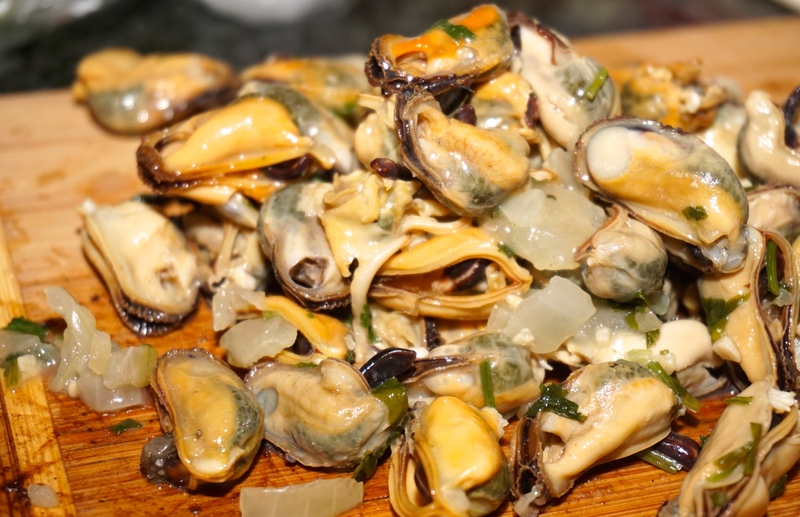 Tossed in a handful of chopped cilantro and the unshelled mussels! 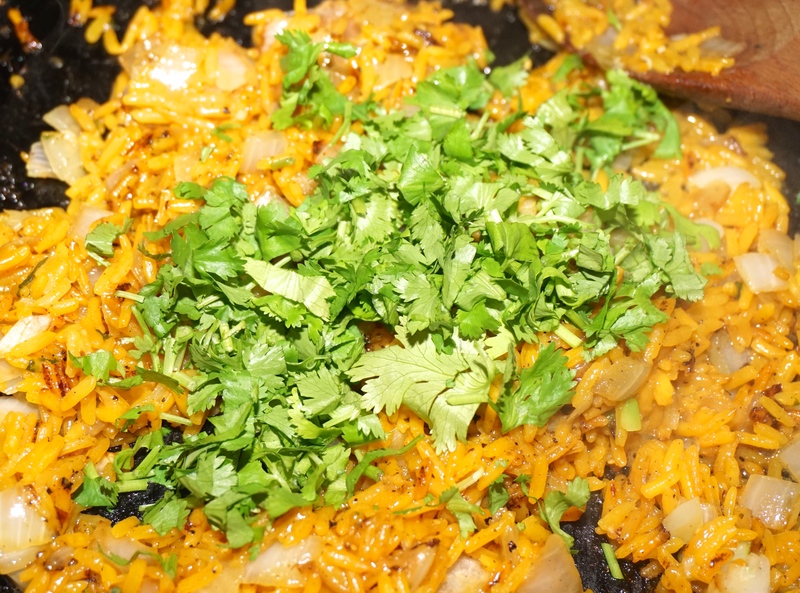 Its turned out fingerlickingly delicious, guess I could call it a simple Paella, but who cares what we call it if it tastes good right?.